On 16 November 2016, Ofcom published its Annual Report on Children and Parents Media Use and Attitudes. It examines children's use of different media and parents' views about their children's media use, as well as the ways they seek to monitor or limit use of different types of media. 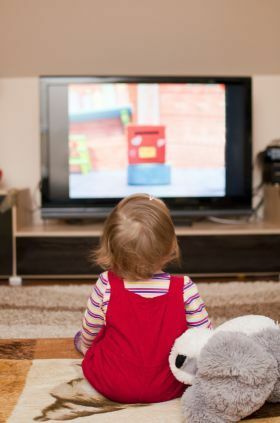 Daily use of a TV set among children is decreasing (80% of children aged 5-15 are concerned, compared to 87% in 2015); they now spend more time on the internet than watching TV (15 hours vs. 13 hours 36 minutes per week for 5-15s). 44% of children aged 5-15 now own their own tablet and 16% of children 3-4 (the same number as 2015). The number of children with a social media profile has increased: it has doubled for children aged 10-11 (43% of them now have a social media profile against 21% in 2015), and grown for ages 12-13 (from 50% to 74%). Nearly all parents (96%) of 5-15s manage their children’s internet use in some way - through technical tools, talking to or supervising their child or setting rules about access to the internet and online behaviour (2 in 5 parents do all four); 31% of them using network level filters (more than other users and a 5% increase since 2015). This research includes findings from two other reports, published on the same day: Ofcom’s Digital Day research and Children's Media Lives. They provide additional helpful details to fully comprehend the trends in children's media consumption.